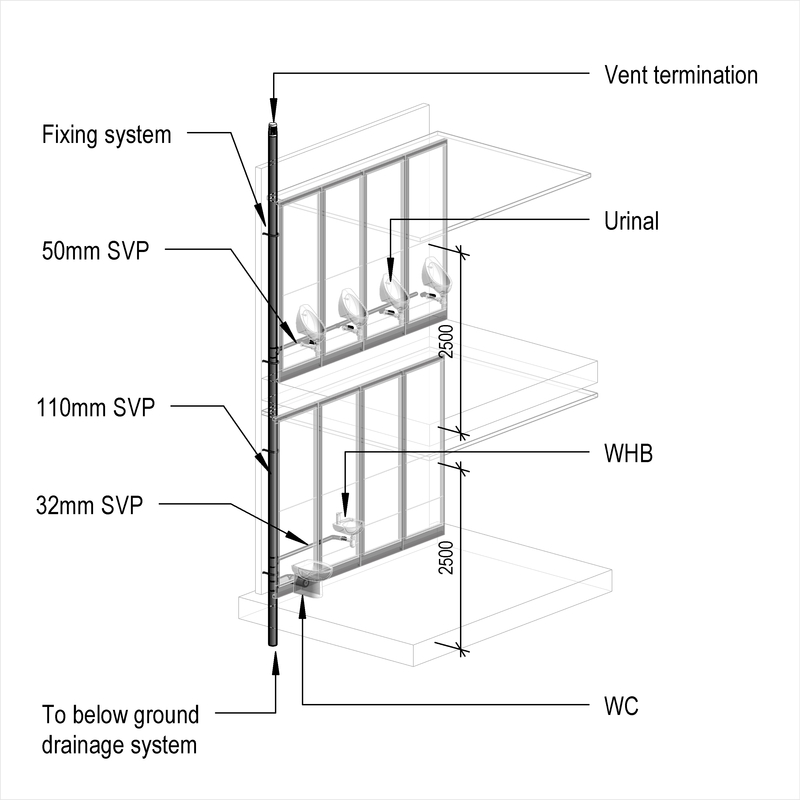 An above ground wastewater drainage system with internal stacks typically comprises of items such as floor drainage, sanitary pipework and ventilating pipework. Complete this electronic spreadsheet to ensure that your Above ground internal stack wastewater drainage systems product information meets the requirements of Level 2 BIM. This is important as it will enable your customers to select, specify and use your products within the BIM environment. Once you have completed this template you can host it on your own website or distribute it to your customers. Please note that we do not host completed product data templates within the BIM Toolkit. The above illustrations are for Above ground internal stack wastewater drainage systems from the NBS section Above ground wastewater drainage systems. This is indicative of the LOD requirements for Above ground internal stack wastewater drainage systems. Design of above ground wastewater drainage systems Design, Standards and System configuration. System manufacturer The System manufacturer of the Above ground internal stack wastewater drainage systems. Floor drainage - Preparation to existing floors The Floor drainage - Preparation to existing floors of the Above ground internal stack wastewater drainage systems. 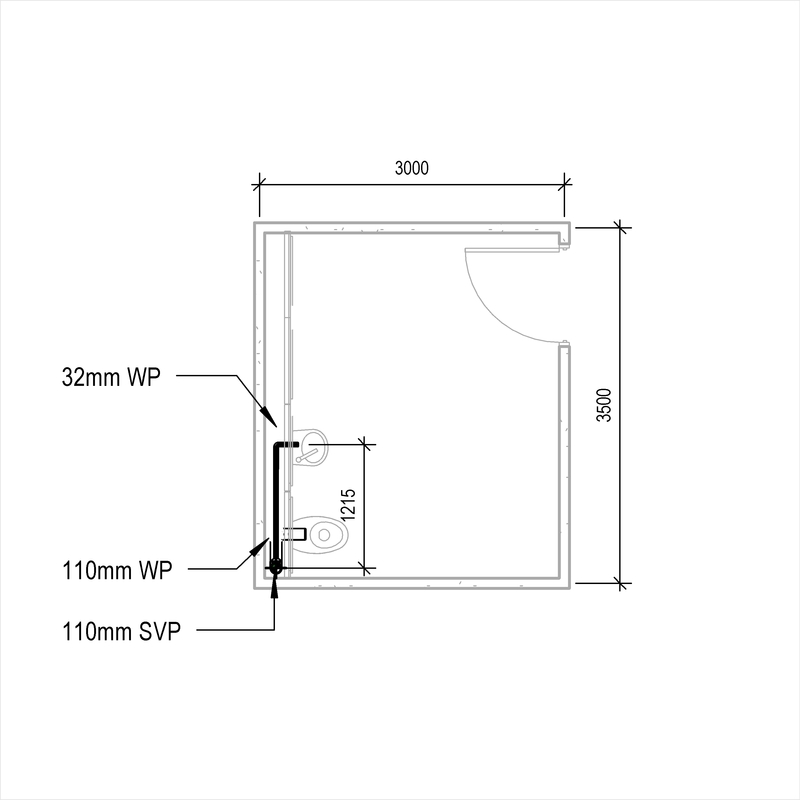 Floor drainage - Floor channels and gullies Products such as Floor channels. Floor drainage - Supports - Bedding Products such as Cement gauged mortars. Floor drainage - Supports - Backfill Products such as Cement gauged mortars. Floor drainage - Supports - Fixings Products such as Wood screws. Sanitary pipework - Small diameter branch discharge pipework - Traps Products such as Sanitary appliance traps. Sanitary pipework - Small diameter branch discharge pipework - Pipelines and fittings Products such as Acrylonitrile butadiene styrene (ABS) pipes and fittings. Sanitary pipework - Small diameter branch discharge pipework - Accessories for jointing Products such as Polytetrafluoroethylene (PTFE) tapes. Sanitary pipework - Small diameter branch discharge pipework - Supports Products such as Above-ground drainage pipe brackets. Sanitary pipework - Small diameter branch discharge pipework - Fixings Products such as Wood screws. Sanitary pipework - Large diameter branch discharge pipework - Pipelines and fittings Products such as Borosilicate glass pipe and fittings. Sanitary pipework - Large diameter branch discharge pipework - Accessories for jointing The Sanitary pipework - Large diameter branch discharge pipework - Accessories for jointing of the Above ground internal stack wastewater drainage systems. Sanitary pipework - Large diameter branch discharge pipework - Supports Products such as Above-ground drainage pipe brackets. Sanitary pipework - Large diameter branch discharge pipework - Fixings Products such as Wood screws. Sanitary pipework - Large diameter branch discharge pipework - Insulation Products such as Mineral wool pipe section insulation. Sanitary pipework - Discharge stack pipework - Pipelines and fittings Products such as Borosilicate glass pipe and fittings. Sanitary pipework - Discharge stack pipework - Accessories for jointing The Sanitary pipework - Discharge stack pipework - Accessories for jointing of the Above ground internal stack wastewater drainage systems. Sanitary pipework - Discharge stack pipework - Supports Products such as Above-ground drainage pipe brackets. Sanitary pipework - Discharge stack pipework - Fixings Products such as Masonry plugs. Sanitary pipework - Discharge stack pipework - Insulation Products such as Mineral wool pipe section insulation. Ventilating pipework - Ventilating branch pipework - Pipelines and fittings Products such as Acrylonitrile butadiene styrene (ABS) pipes and fittings. Ventilating pipework - Ventilating branch pipework - Accessories for jointing Products such as Polytetrafluoroethylene (PTFE) tapes. 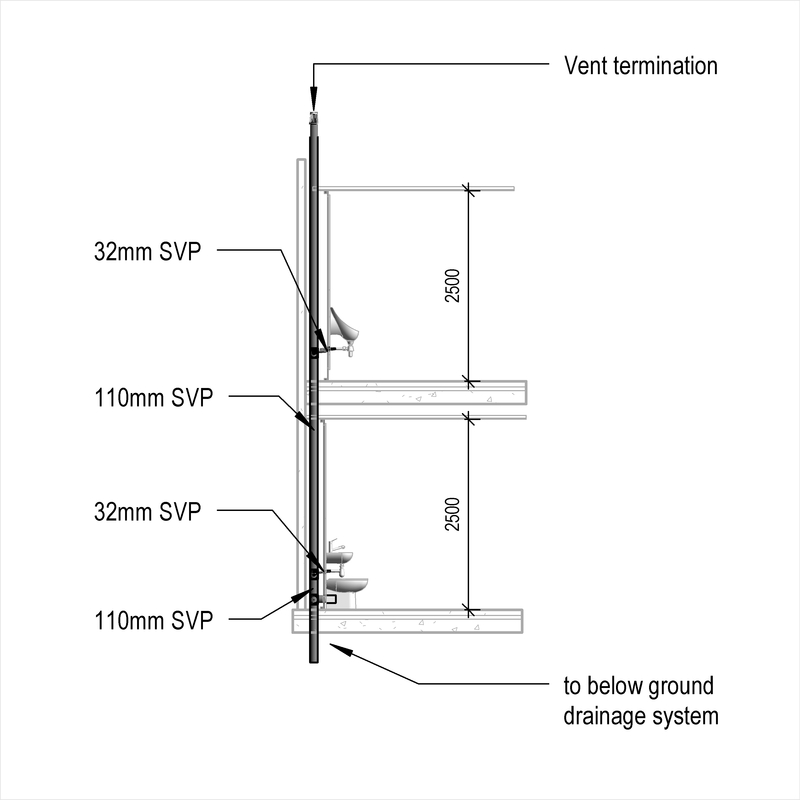 Ventilating pipework - Ventilating branch pipework - Supports Products such as Above-ground drainage pipe brackets. Ventilating pipework - Ventilating branch pipework - Fixings Products such as Wood screws. Ventilating pipework - Ventilating stack pipework - Pipelines and fittings Products such as Borosilicate glass pipe and fittings. Ventilating pipework - Ventilating stack pipework - Accessories for jointing The Ventilating pipework - Ventilating stack pipework - Accessories for jointing of the Above ground internal stack wastewater drainage systems. 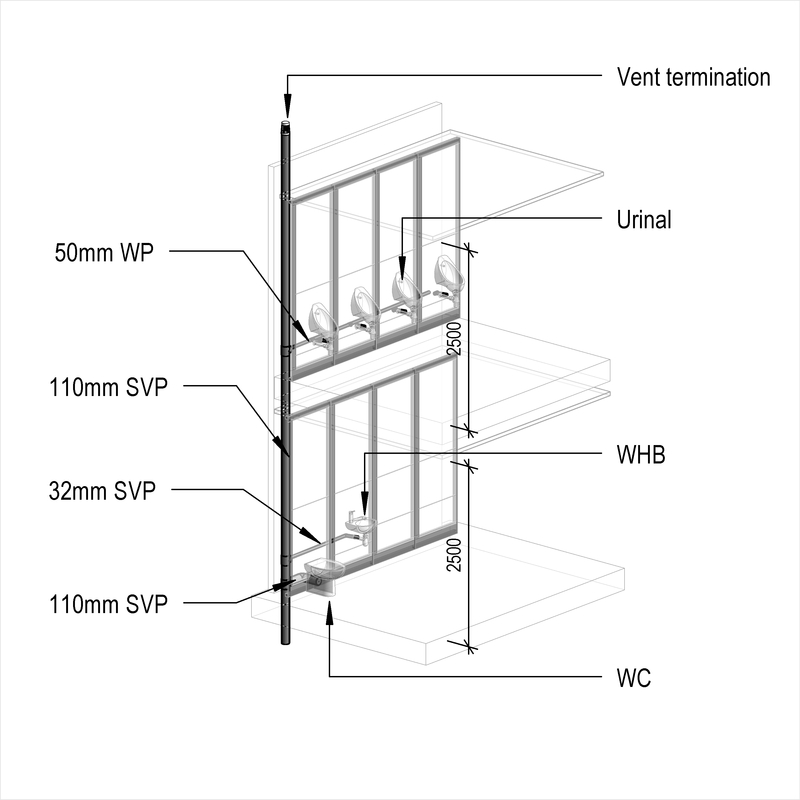 Ventilating pipework - Ventilating stack pipework - Supports Products such as Above-ground drainage pipe brackets. 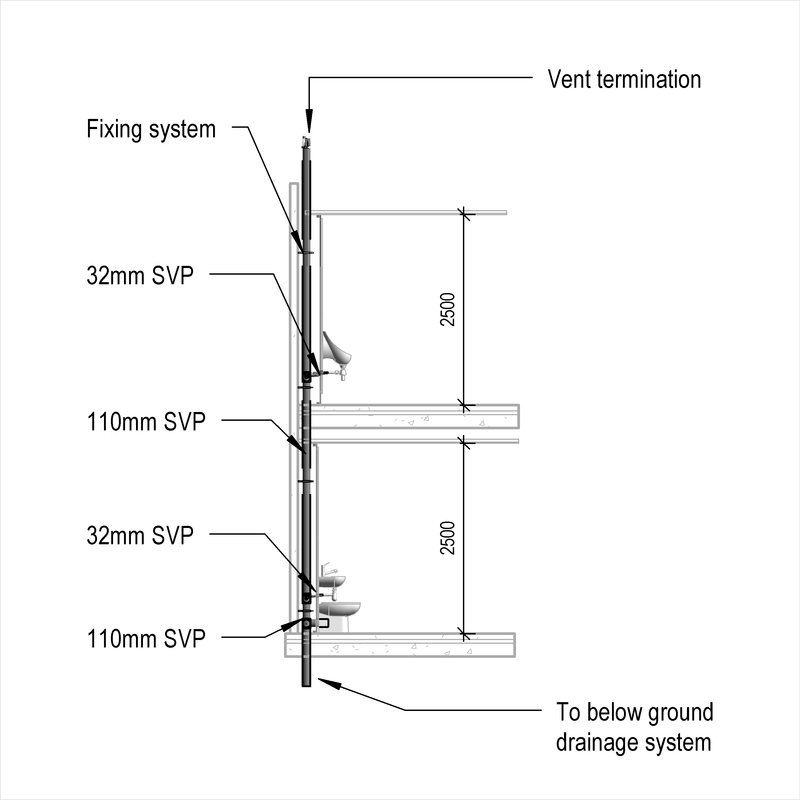 Ventilating pipework - Ventilating stack pipework - Fixings Products such as Wood screws. Prefabricated branch and stack pipework - Pipelines and fittings The Prefabricated branch and stack pipework - Pipelines and fittings of the Above ground internal stack wastewater drainage systems. 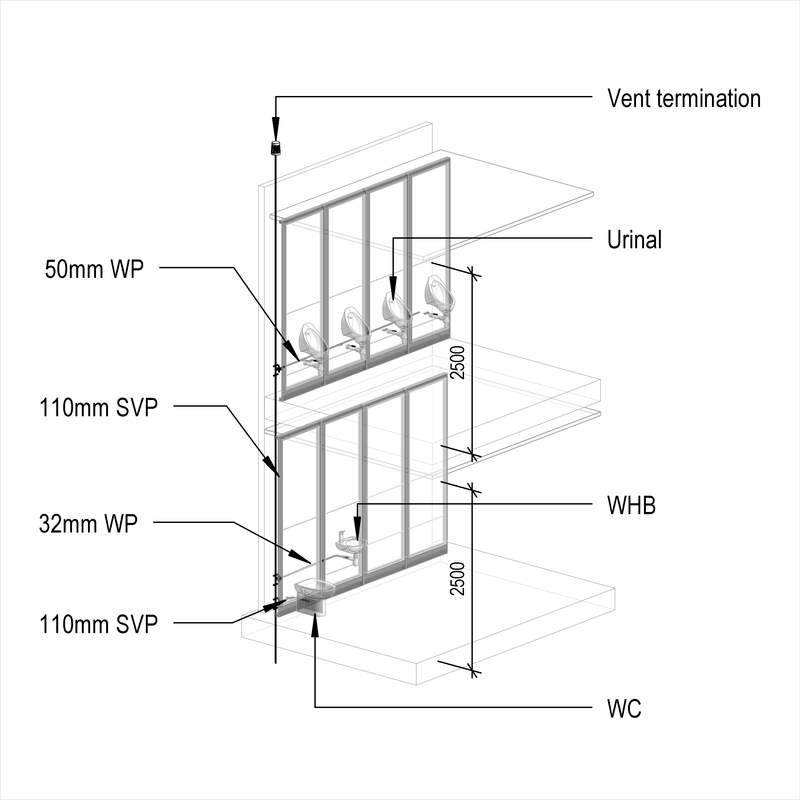 Prefabricated branch and stack pipework - Supports Products such as Above-ground drainage pipe brackets. Prefabricated branch and stack pipework - Fixings Products such as Wood screws. Prefabricated branch and stack pipework - Insulation Products such as Mineral wool pipe section insulation. Overflow pipework - Pipelines and fittings Products such as Acrylonitrile butadiene styrene (ABS) pipes and fittings. Overflow pipework - Accessories for jointing Products such as Polytetrafluoroethylene (PTFE) tapes. 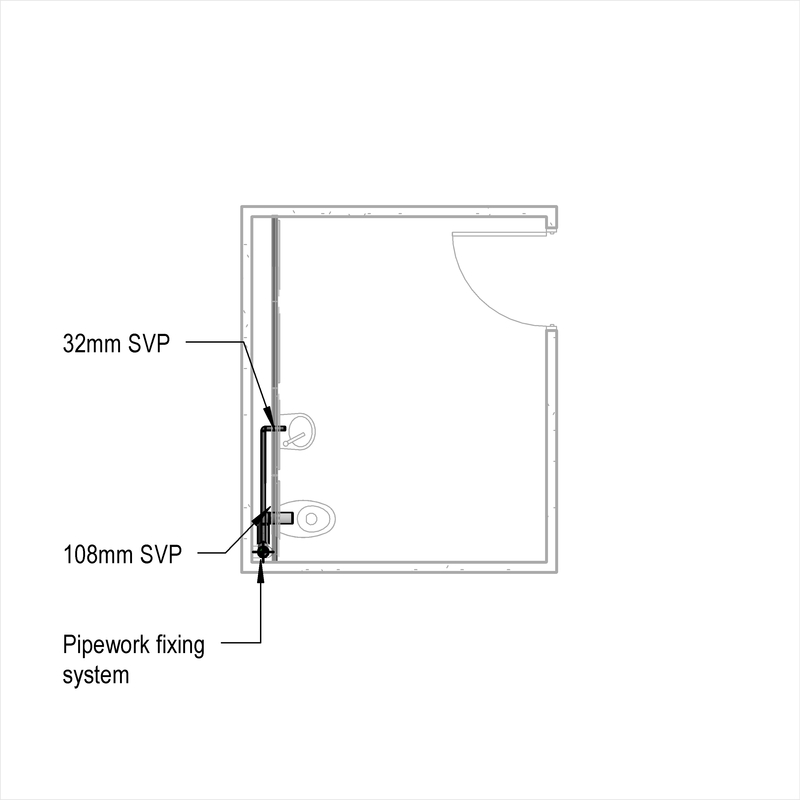 Overflow pipework - Supports Products such as Above-ground drainage pipe brackets. Overflow pipework - Fixings Products such as Wood screws. Pipework identification Products such as Self-adhesive colour pipe bands. 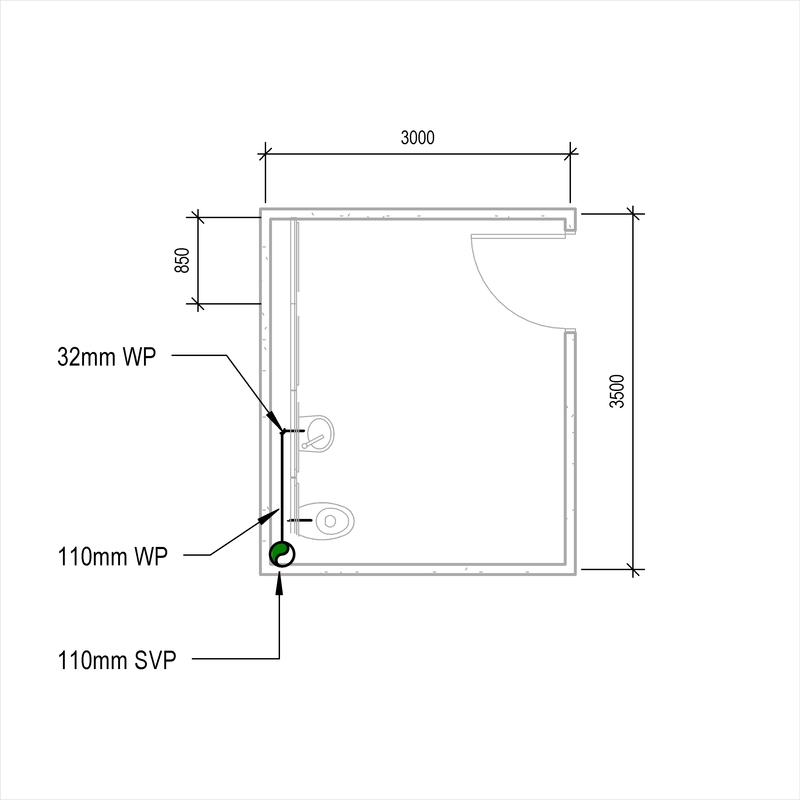 Fire stopping - Floor penetrations Products such as Flexible intumescent gap seals. Fire stopping - Wall penetrations Products such as Intumescent foam fillers. System accessories Products such as Air admittance valves.